Often, Missoula feels distant from things like world wars and humanitarian crisis. 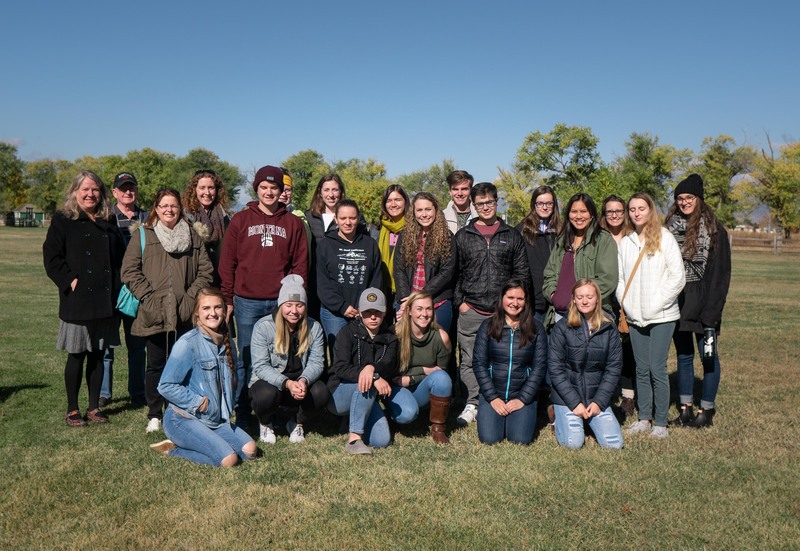 On Thursday, Oct. 11, Franke GLI students in the Migration and Refugees in the Modern World seminar took a field trip to Fort Missoula to learn just how close those far off concepts actually are. During World War II, internment camps at Fort Missoula housed many Japanese and Italian men. During the guided tour of Fort Missoula, students learned that it was the most intact camp in the U.S., Italians were pulled off of ships and sent to camps like it, and that even though there were more of them, Italians were allowed a lot more freedom and could even sometimes go into Missoula for events and activities. In one of the buildings, a plaque with all the names of those interned lined the wall. 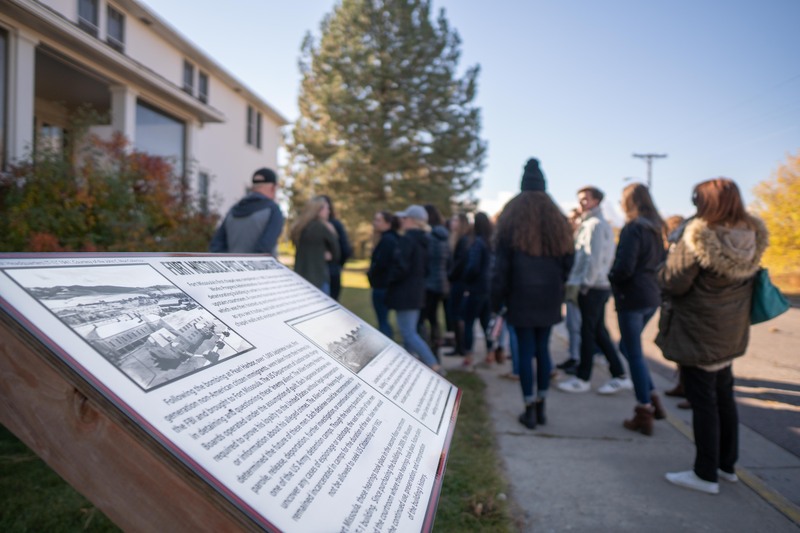 Students roamed around, looking at all of the displays and learning about the not so distant past in Missoula. 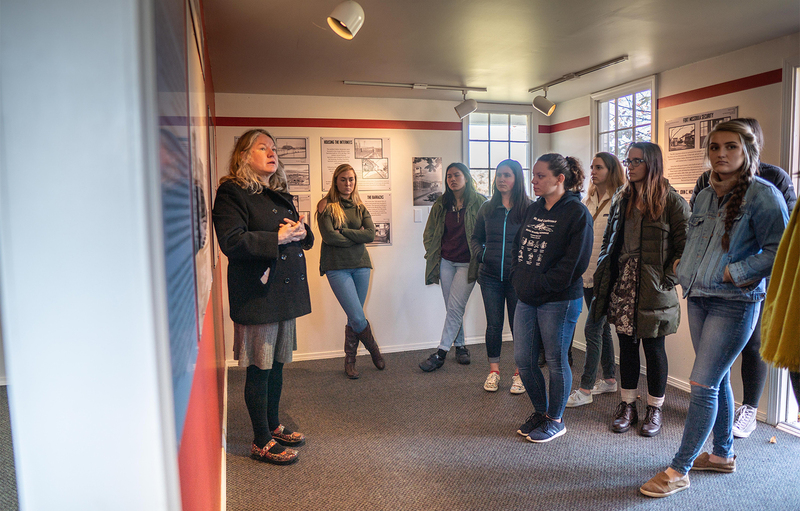 The class, taught by Gillian Glaes, focuses on how historical migration and refugee crisis contribute to modern understanding of current humanitarian crisis. Students in the class said they were learning a lot and getting to hear from a bunch of different speakers who all had interesting and individualized stories. 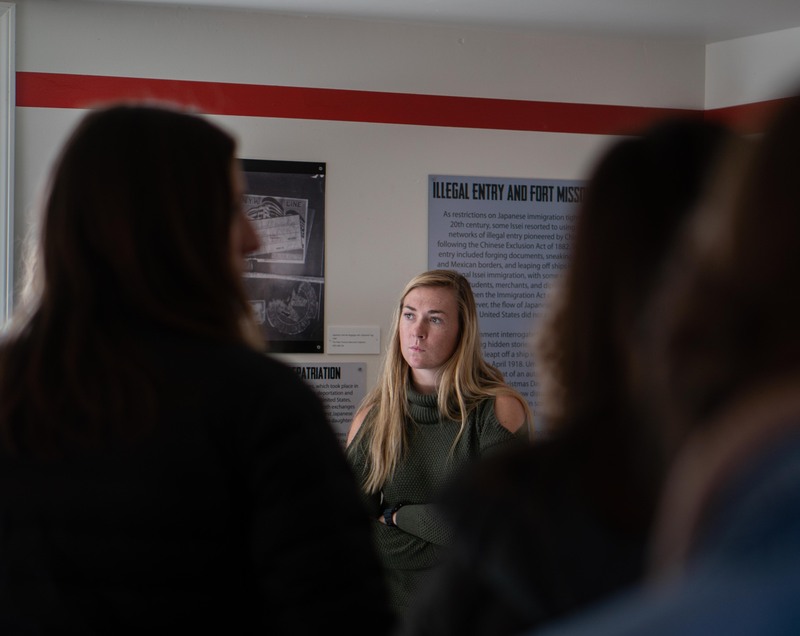 “It’s jam packed with so much history,” said Asia Chhon, a freshman in the class.